Common Room Spaceship: From Balsall Heath to Outer Space. I’m not prepared to put a date on it, but it happened long, long ago. In a galaxy far, far away down the shallow end of Moseley Road, Balsall Heath. 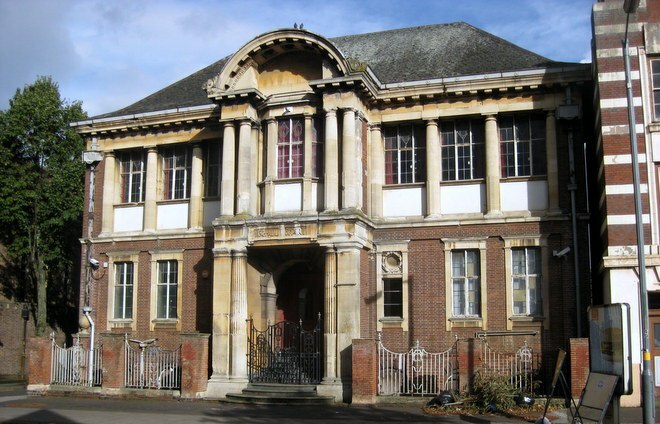 In your earthly locational terms, it was a huge stinking storage room in the shadow of the railway embankment at the Lime Grove end of the Assembly Hall of Moseley School of Art. But to the half a dozen Wild Eyed Boys from Freecloud who’d taken residence within…this was nothing less than a Spaceship. On a Mission. Every spaceship has a crew. Every crew has crazy nicknames. And we were no exception. Ours were Boldy (not because he Boldly Went places, in fact he’s still in Brum as we speak, but because we’d creatively added the letter ‘Y’ to his surname), Twigg The Wonder Kid (born plain Peter but hey, these were The Bowie Years), Trobert Dobert (what happened when the word Robert broke up on re-entry), Robbo (not remotely robotic, but Kevin Robinson to his Mum), Wayne Barratt (nope, no nickname) and me. My monicker? Vim Nevis, since you ask. To this day, I have no idea why. But it didn’t matter! Because in our fast-beating teenaged hearts, we were ASTRONAUTS! Fifth-Formers with The Right Stuff! Boldy, Trobe, Twiggs, Robbo, Vim and the other one: doin’ battle against everything the Dark Forces of school authority could throw at us. Our spaceship began life as a makeshift Common Room. At its heart, a large, long-deceased clay-firing kiln. This became the core nuclear sub-particle generator engine thing, around which we built our craft. Chairs were piled up as a heat shield and plastic drainpipes turned into rocket-launchers, firing huge wooden skittles with intergalactic aplomb. We’d barricade ourselves in there for hours; ostensibly revising for mock A-levels, in reality having the kinda childish bloody space adventures that would put Kirk ‘n Spock to shame. Woe betide any professorial intruder who tried to force entry. Bang! And the Prof was gone. Eventually, we took it all too far. But boy, did we have a laugh. Having purloined all manner of equipment from the woodwork room and science lab to upgrade and re-arm our spaceship, we one day fired open the adjoining airlock and launched a surprise attack on the Assembly Hall, midway through a mildly important mid-morning meeting. Our wooden space weapons fell on all and sundry. Our protestations of innocence fell on deaf ears. We were grounded. That was then. And the parents among you will be pleased to hear that, just months later, we all passed our exams with (supersonically) flying colours. Time also passed. And I found myself in glitzy London. Working in glitzy advertising, for God’s sake. But I never forgot that, deep down, I belonged in space. That one day, the papers would want to know whose shirt I wear. 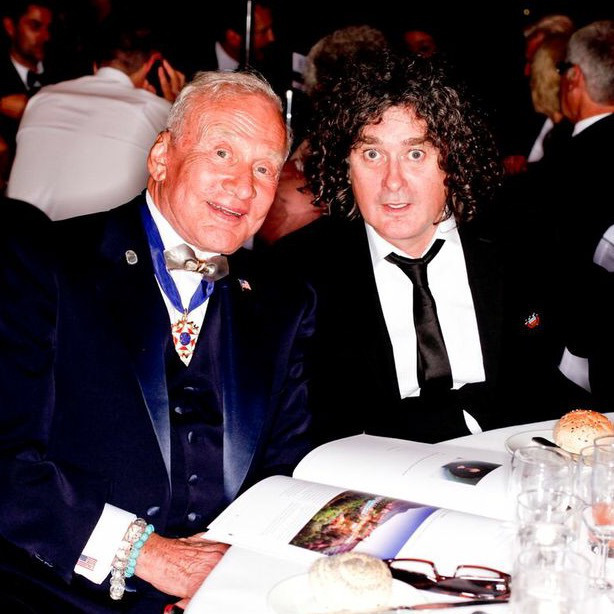 So when 2004 dawned, and I found myself sitting next to Sir Richard Branson, at a global press conference in LA to announce the birth of his Virgin Galactic Commercial Spaceline, I hesitated before signing on the dotted line as the world’s very first sub-orbital Brummie. Were there 2 ‘M’s in Vim Nevis? Trevor Beattie was born in Birmingham and educated at Moseley Art School. He gained an Hons Degree in Graphic Design from Wolverhampton Polytechnic before moving to London and a career in advertising which has seen him become one of the most talked-about characters in an industry of talked-about characters. He set up Beattie McGuinness Bungay (BMB) in 2005. And produced the Bafta-winning movie Moon in 2009. 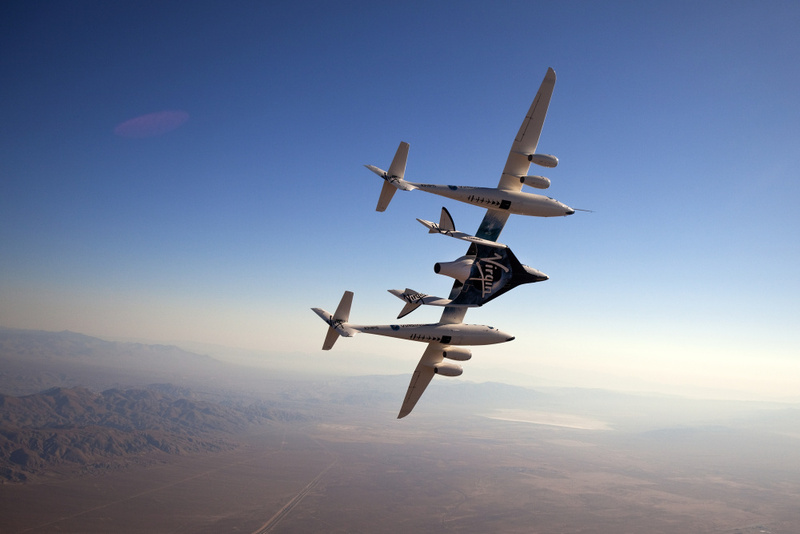 As one of the earliest purchasers of a (return) ticket on Richard Branson’s Virgin Galactic, he is looking forward to becoming an astronaut.